Jon Prideaux, Chief Executive Officer of Boku, commented: “Charging purchases to your phone bill has proved a great way for the world’s largest digital companies to acquire and retain users, but has had fairly limited application outside digital content. This Acquisition allows us to offer services that go further and to improve user quality for our customers while at the same time improving the mobile experience for users. Mobile commerce is booming, yet many tools were developed to support PC-based commerce. Danal has shown that MNO data can also combat fraud, reduce friction in signup and ensure regulatory compliance on mobile. These problems are relevant not just to our existing digital customers but also in other sectors including e-commerce, finance, transportation and government. Boku Inc (LON: BOKU), the world’s leading independent direct carrier billing company, today announced that it has signed an agreement to acquire 100% of the share capital of Danal, Inc. the for an initial consideration of 26.7 million Boku common shares of $0.0001 each, US$3 million of Boku warrants exercisable at 141p each and US$1 million of cash, payable on completion. In addition, Boku has agreed to pay deferred consideration of up to US$64 million, satisfied in Common Shares and warrants, dependent on Danal’s future performance. Danal, based in San Jose, California, USA, provides mobile identity and authentication solutions driven by real-time connections to Mobile Network Operators. The acquisition of Danal will accelerate the development of Boku’s mobile identity service offering, allow expansion into new merchant segments, such as finance and government and ensure broader exposure to key geographies, including the USA. Completion of the Acquisition is subject to the fulfilment of certain conditions, including Danal shareholder approval, and is expected to take place on or around 31 December 2018 . Danal’s Mobile Identity platform offers its customers, which include financial institutions, government agencies and retailers, services to manage risk and fraud, ensure TCPA (US Telephone Consumer Protection Act) and KYC (Know Your Customer) compliance, and streamline customer registration and checkout. Customers include Western Union, BNP Paribas, PayPal, Square, Moneygram, Login.gov and USAA. Distribution Partners include Experian, Neustar, Fiserv and TransUnion. 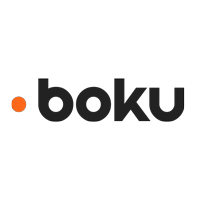 The Acquisition of Danal presents Boku with an opportunity to offer mobile identity services to its existing digital content customers and also to provide global coverage to Danal customers who are predominantly in the USA. The Acquisition will increase Boku’s product range, allowing it to serve non-digital merchants in new sectors and expand its business into new markets, with modest increases in operating costs, through the use of Boku’s existing scaled MNO connection capability. For the year ending 31 December 2017, Danal generated revenue of US$5.1 million and a loss before interest, taxation, depreciation and amortisation of US$5.2 million. Danal had net liabilities at 31 December 2017 of US$10.3 million. The acquisition is expected to be earnings dilutive in FY2019, as Boku intends to invest in the Danal platform, with earnings improving through FY2020 and earnings accretion expected thereafter. The Acquisition, which is governed by US law, is being structured as a reverse triangular merger to ensure that Boku acquires 100% of the Danal shares from its multiple shareholders. Danal will merge with a wholly owned, US incorporated subsidiary of Boku which will cease to exist post-completion. The Acquisition has been structured with a significant contingent consideration element, linked to challenging performance targets for Danal, thereby allowing both parties to share the benefits of efficiencies and growth. Initial consideration for the Acquisition will be satisfied through the issue of 26.7 million Common Shares. In addition, US$3 million of Warrants, exercisable for five years at an exercise price of £1.41 each, will be issued to the vendors and US$1 million of cash will be paid on Completion. Deferred consideration of up to US$62 million of Common Shares and US$2 million of Boku warrants will be issued to the vendors subject to the fulfilment of challenging, tiered 2019 revenue targets for Danal (“Deferred Consideration”). No Deferred Consideration will be payable if Danal’s revenues for the year ending 31 December 2019 are below US$10 million. Under the Deferred Consideration arrangements, the number of Common Shares to be issued will be dependent on the Common Share price at the time of issue, subject to a minimum and maximum price per Common Share of 120p and 170p respectively. At its option, the Company can pay the Deferred Consideration in cash. Any warrants issued will be exercisable for five years post issuance with an exercise price of 145p. The vendors have agreed to lock in arrangements of 6 months for 50 per cent. and 12 months for the remaining 50 per cent. of the Common Shares and Warrants, with the exception of $2m of Initial consideration Common Shares which are subject to an Orderly Marketing Arrangement. Completion of the Acquisition is conditional inter alia on Danal’s shareholders approving the transaction. The Acquisition agreement also contains customary warranties and representations for a transaction of this nature from both Danal and Boku. INTERVIEW: Boku – Acquisition of Danal Inc.